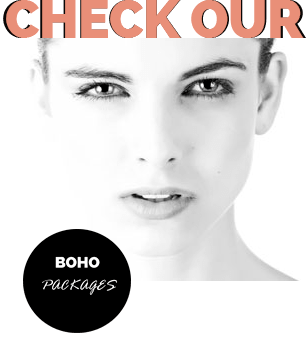 This very unique and at the same time very effective anti-aging treatment is being offered only by Boho Travels. We are cooperating with Czech scientific laboratories focused on regenerative medicine along with top medical specialists. Stem cells are cells capable of restoring damaged or worn parts and maintaining the homeostasis of the organism. These cells have indefinite self-renewed ability, whose mitotic division produces one cell identical to maternal. In this way, regeneration and growth of your tissue occurs inside. What are the effects of fat tissue fillings? From your own fat tissue, we are able to produce a top quality biomaterial containing a high percentage of growth hormones, anti-inflammatory molecules, elastin fibers, collagen and a remarkably higher proportion of our own stem cells in special laboratories. The biomateral is used for modeling of the face, fills the areas where wrinkles appear and the skin has faded. Fills naturally form a face and give a natural youthful look. Fat filling in combination with growth hormones provide immediate rejuvenating effect. What is the different between the plasma and the stem cells treatment? Plasma skin treatment you must apply at least 5 times a year, furthermore the problem is that the effect is not long lasting because plasma regenerates your tissue but does not contain a high percentage of growing hormones like the stem cells treatment. Plasma is taken from your blood. The venous blood is drawn from the elbow, in the same manner as normal sampling. It is further processed in a special device in the form of plasma. Stem-cells biomaterial is applied only once in a long term (depends on your own DNA genetic predisposition which is different for each individual). Stem-cells are obtained from your own adipose tissue. For a maximum rejuvenating effect, we recommend a combination of these two unique regenerative methods. Both have a natural foundation, but each regenerates the subcutaneous skin in its own way, and your skin gains a youthful and natural look. When can I see the first results? The effect can be observed after a week, but the most noticeable is after three months and lasts two years or more. How long does this rejuvenating effect last? Each person has different genetic assumptions, since this is your own material that is applied to the skin, the result is individual of each person. In general, the resulting effect persists for two years and much more. Is this treatment for everybody? Stem cell treatment is suitable for clients of any age who want to slow the aging process and support the connectivity of the subcutaneous tissue. The cell treatment product, can either be applied on the face, hands and neckline. Be aware that for the application is necessary to have sufficient amount of fat in the area of your tummy. Usually up to 300 ml of adipose tissue. Client who do not have enough fat for the processing of the material can not be accepted. The first day you visit dermatologist for consultation and immediately after you go to mini-liposuction. This will take aproximately 3 hours. The next day is the application of your own bio-material. You will spend 1 hour. Is there any risk of allergic reactions? The tissue is performed in special laboratories certified Cell and Tissue Center for regenerative medicine. The whole processing method is free of any added chemical, so the resulting material is 100% natural without the risk of undesirable reactions! What are the limits before and after the procedure? Rejuvenation of the skin is done outpatient and after the application the patient can go home. Our professional dermatologist will explain you all stages of treatment and provide you more tips on how to maximize the whole effect. Since this is an application of living cells that are incorporated into your tissue, it is necessary to eliminate for 6 weeks alcohol, non-steroidal analgesics and follow the recommendation of the dermatologist. It is necessary to wear minimum 4 weeks the compression underwear. How long do I have to wear compression underwear? After the mini-liposuction it is necessary to wear minimum 4 weeks the compression underwear which you receive from us. It is included in the price of the package. Please inform us about your size and will fix it for you.